Wake up your senses with our ultimate coffee lovers bar. 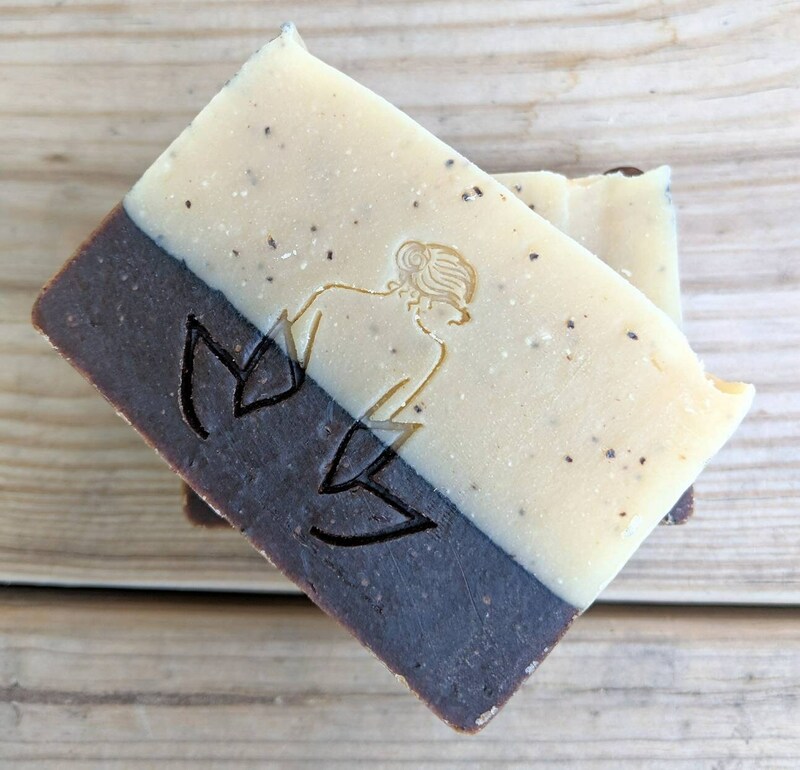 This luxurious soap is an improvement on our Mocha Latte bar. 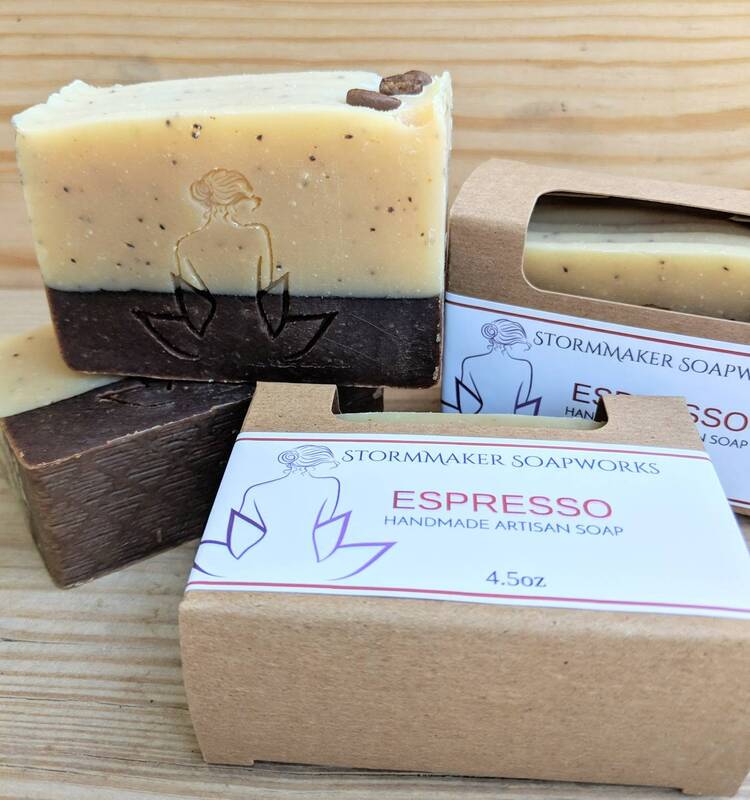 Made with coffee butter and coffee essential oil, plus all the wonderful butters and oils you have come to expect in our soaps. 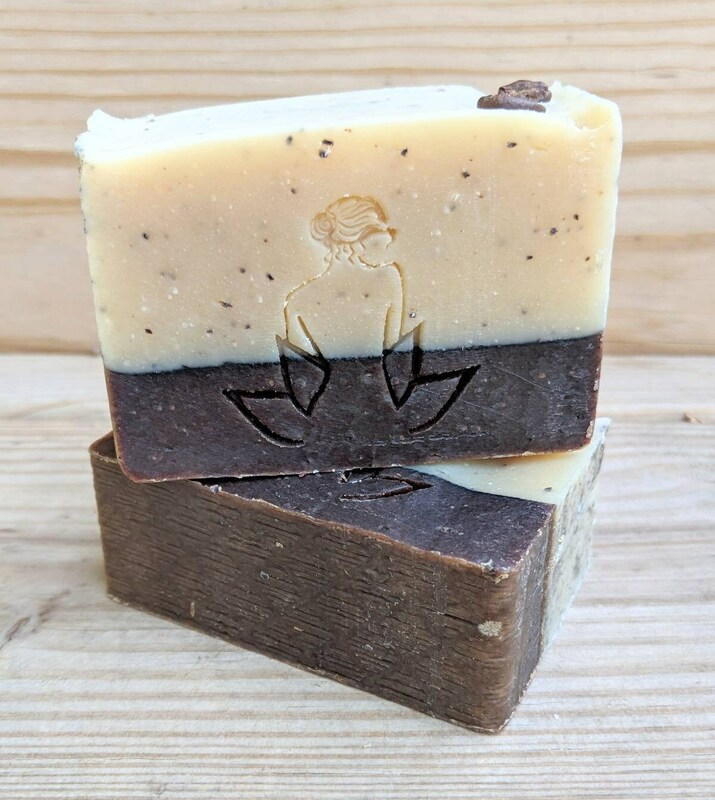 Coffee soaps are great for eliminating odors and stimulating the blood flow. Try a bar for yourself, or send one to your favorite coffee lover! All our soaps are made is small batches and will vary slightly in size and appearance. Handmade soaps will last a long time if properly kept. I recommend a draining soap dish to allow the soap to dry out between uses. This will greatly extend the life of the bar.